In London’s Hunterian Musem, a collection of medical archives is being gathered from World War I. “They are powerful testimony to the advances made by modern surgeons in the past 100 years,” writes Helen Briggs for the BBC, who writes a compelling article about the Gillies Archive and the ways in which war has driven innovation in plastic surgery. “The war led surgeons to attempt ground-breaking procedures, which paved the way for modern plastic surgery,” said Dr. Andrew Bamji, former curator of the Gillies archive. 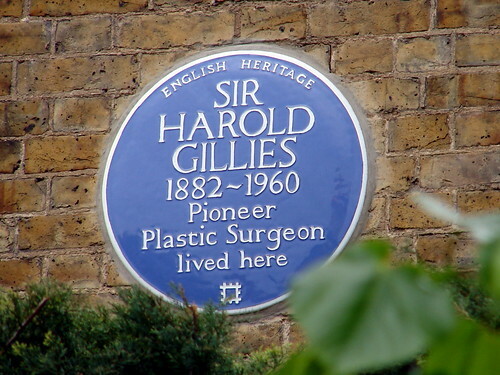 Named after plastic surgery pioneer Sir Harold Gillies, the archives include medical documentation, paintings, plastic casts, instruments and more. The artifacts tell a story about war injuries and the surgical techniques that were developed to treat them.